Hours: 8:00 a.m. – 5 p.m. Monday through Friday. JCMG Outpatient Surgery Center (OSC) has been serving Jefferson City and the surrounding area since 1998. In the first 10 years, over 40,000 procedures have been performed. OSC is accredited by the Accreditation Association for Ambulatory Health Care and provides efficient, high quality professional surgical services in a friendly environment. The center follows guidelines provided by Medicare certification with an ongoing quality assurance program. JCMG Outpatient Surgery Center staff is trained in all aspects of surgical care from pediatrics to senior citizens. Today more than 70% of surgeries in the United States are performed in an outpatient setting. At this time online bill payment is not available for the JCMG Outpatient Surgery Center. We are working on adding this convenient payment method for our patients. Please check back. Specialists in the areas of ENT and sinus surgery, gastroenterology, general surgery, obstetrics and gynecology, ophthalmology, orthopaedics, plastic surgery and podiatry perform procedrues at the center. JCMG Outpatient Surgery Center is owned by its practicing physicians and therefore have a financial interest in the Outpatient Surgery Center. It is your right to choose where to hae your procedure performed. Mid-Missouri Anesthesia Consultants is a group of highly trained and efficient anesthesiologists contracted to provide the best care to JCMG Outpatient Surgery Center patients. It is your responsibility to check with your insurance provider regarding co-pays, deductibles, co-insurance, and pre-certification requirements. All co-pays and outstanding deductibles will be collected prior to surgery. 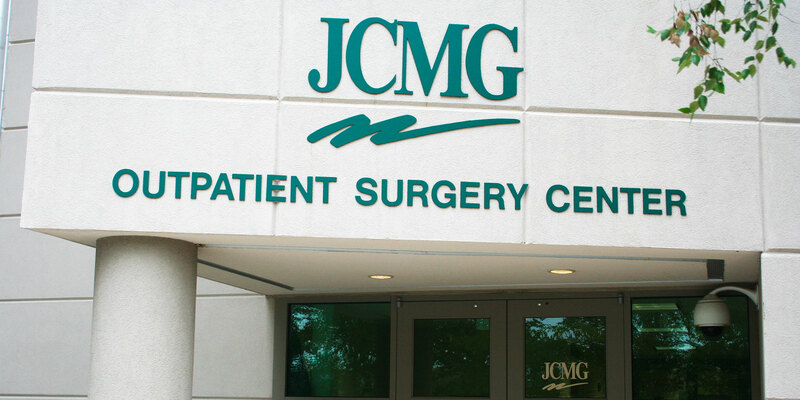 Currently, JCMG Outpatient Surgery Center has a patient satisfaction score of 99%. This is a score provided to us by feedback received from patient surveys. We encourage each patient to return the Patient Satisfaction Survey to let us know how we can better serve you.